Android 3.2 Update Is Ready, Is Your Device? 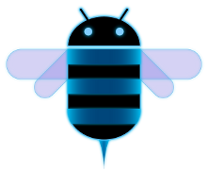 The new update of the Android Honeycomb, the Android 3.2, has officially been announced by Google on the Android developer forum. Android 3.2 is basically a minor feature update and will include new APIs (application programming interfaces). Here's a look at the new features added. Android 3.2 has included a number of optimizations so that it can function effectively on a wider range of tablets. A new compatibility zoom mode has been included which lets the user decide on how they want to view applications that are specifically made for smaller devices like mobile phones. Traditionally the user interface (UI) would just stretch the display of the apps but the new mode provides a pixel-scaled alternative. This feature will work on the devices that support an SD card. Users can directly load media from their SD cards to the respective apps that require them without copying the files onto the tablet and then accessing them for the apps. The new update provides developers with extensions to the platform's screen support API so that they can better manage application user interface on all the Android-powered devices. Also they can now decide on how their apps are displayed on different sized devices. Companies like Motorola have already brought the update for their tablet called Motorola Xoom. Although Huawei has already claimed they are the first 7 inch Android 3.2 tablet with a dual core processor. Samsung, Acer and other companies should soon come out with the update for their devices too.